It happens every spring and summer: Melting snows and heavy rainfalls inevitably turn someone's property from a lawn into a lake. Unfortunately, even a little standing water can cause root rot and soil compaction, which can devastate the plants on your property and cost you thousands in replacements. The additional moisture can also attract mosquitoes in the warmer months, making your property an undesirable place for your customers, employees, or tenants. This means that property managers can't ignore drainage system maintenance, or to take chances with letting gutters go or putting off grading projects. 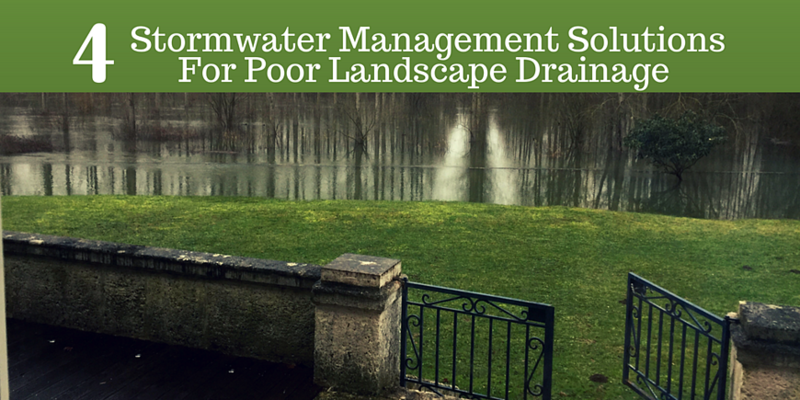 It’s important to identify and address landscape drainage problems so you can prevent serious stormwater runoff issues, which can usher water into buildings or damage your landscape. The good news is, some routine maintenance and basic drainage fixes can go a long way toward protecting your property from water damage. So first, let’s identify some key landscape drainage problems you might notice on your Northeast Ohio commercial property. Then, we’ll review some landscape drainage fixes that could save your property from turning into a sopping wet mess, or an unintended retention pond of stormwater runoff. 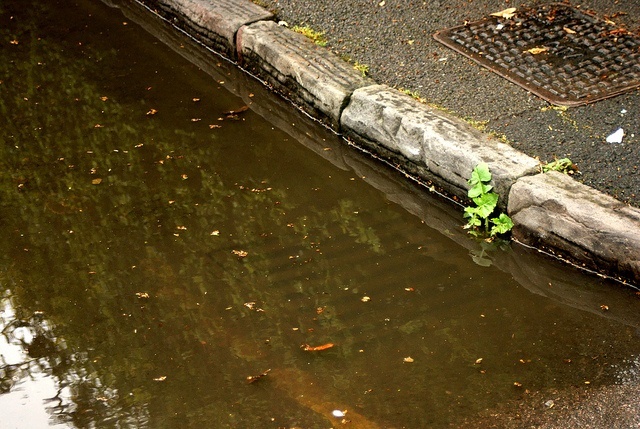 Why Is Your Property Waterlogged? The obvious puddling of water or flooded lawns can indicate an issue with the grade of your property or clogged drainpipes. In many newer condominium communities, houses built closely together and landscape mounding can trap water close to homes. There’s no place for water to run off. And, commercial properties that do have yard drains can still experience flooding because of debris, mulch and plant material blocking drains; or land that settles and no longer ushers water to drains. Even if you have French drains in place, the black perforated piping commonly used does not last forever. Plus, roots of nearby trees and plants can grow into pipes and cause them to collapse. You can’t see the problem from above ground, but evidence is when a drain that simply won’t accept stormwater runoff. Also, properties with a lot of hardscape or concrete surfaces can force water into nearby landscaped areas, or cause pooling up in parking lots. Another reason we see drainage problems on commercial properties is due to a lack of planning. For instance, often drains are installed with little attention to the flow of water run-off. Large properties can require piping to direct water to drains, and if flooding is still a problem then more drains may be required. Like the plumbing in your house, you wouldn’t expect a single drain to empty water flowing from every sink, toilet and bath tub. There’s no one-size-fits-all drainage solution for your commercial property because a number of factors should be considered when putting a system in place. For one, property size matters, and so does the terrain—slopes, dips, flat areas. The buildings on the property will impact drainage, and so will hard surfaces like walkways, parking lots and common areas that are hardscaped. We start with a property assessment to identify what drainage systems (if any) are in place, where the system is failing (we talked about the evidence earlier), and what measures must be taken to improve drainage on your site. 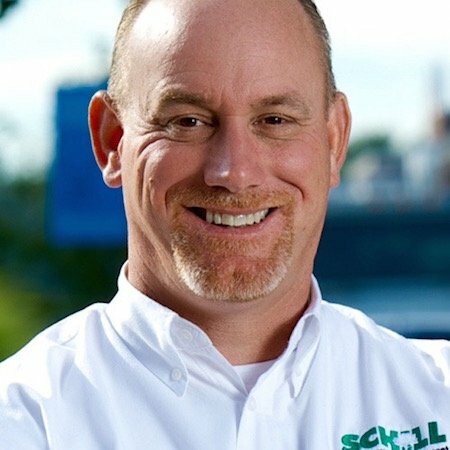 Here are some common stormwater management solutions to landscape drainage problems on commercial properties throughout Cleveland and the rest of Northeast Ohio. 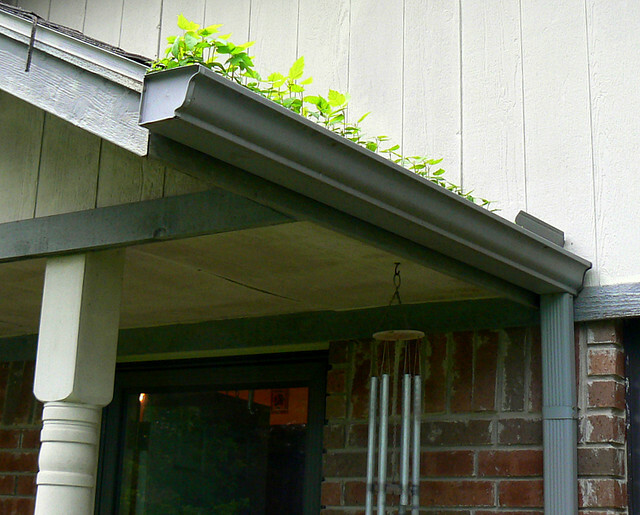 This is a simple maintenance step that should be tended to in spring and fall to ensure that gutters are free and clear. Expect water collection and/or flooding if a gutter is stopped up, or if gutters release water into an area of the landscape that’s low or does not contain a drain. Routine maintenance is critical for keeping drain grates and pipes open. Grass can quickly grow over drains or fill in bioswales. Heavy rains can wash mulch and debris toward drains and cause blockages. One solution for keeping drain areas clear is to edge out the surrounding area and lay down gravel. Over time, land settles and a property can develop sunken spots and, as a result, drainage problems. Adding more soil to build up the area is not always a solution. Remember, the water has to flow somewhere, and if water is getting trapped on your lawn areas, then a French drain or other infrastructure might be necessary. You can’t control the weather, and July is looking like another wet month here in Northeast Ohio. But you can control the way stormwater runs off and drains from your property. Now is the time to ask a professional to review your landscape and identify drainage problem areas so you can put measures in place to protect your property from here on out. 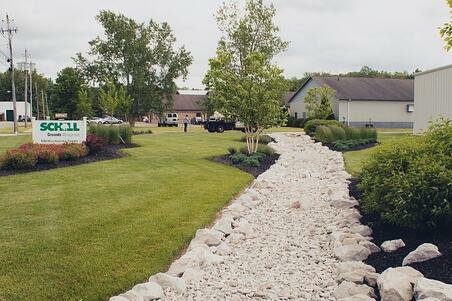 Let’s talk more about smart ways to control stormwater runoff. Contact us any time at 440.327.3030, or fill out this simple contact form and we’ll get in touch with you.